Mathias Eick was born in the village of Furnes, in Norway, on the ’16th’ of June 1979, and grew up in a musical household, His brother Johannes Eick and sister Trude Eick were both talented musicians who later, became professional jazz musicians. So would trumpeter Mathias Eick, but that was still to come. Having finished high school, Mathias Eick enrolled on the Music program at the Toneheim Folkehøyskole in nearby by Hamar. After this, Mathias Eick enrolled on the Jazz program at Trondheim Musikkonsevatorium, where he completed his musical education. By then, Mathias Eick, whose main instrument was the trumpet, was a talented multi-instrumentalist who could play double bass, guitar, piano and vibes. Given his versatility and talent, Mathias Eick was going to be kept busy working with various Norwegian bands and as a sideman in the future. This included Mathias Eick playing alongside Jaga Jazzist, Jacob Young, Iro Haarla and Manu Katché between 2001 and 2007. However, in 2007, Mathias Eick’s carer received a huge boost. After 2007, Mathias Eick was able to prefix the award-winning to his name. This came about after Mathias Eick won the International Jazz Talent award in 2007. It was awarded to Mathias Eick by the International Jazz Festivals Organisation. The timing was perfect. Mathias Eick had recorded his debut album The Door for ECM Records during September 2007. The Door was produced by Mathias Eick and ECM Records’ founder Manfred Eicher. When The Door was released to critical acclaim in 2008, it was a beatific, atmospheric album tinged with mystery that offered a tantalising taste of prodigiously talented musicians. For the next three years, Mathias Eick spent time recording with Lars Danielsson and Motorpsycho. However, in 2009, Mathias Eick won the Statoil Scholarship which is Norway’s largest and most prestigious scholarship, and not long after this, began working on his sophomore album Skala. Three years after the release of The Door,Skala was released to plaudits and praise in 2011. Mathias Eick’s career continued apace. Over the next four years Mathias Eick continued to work as sideman and played alongside Jaga Jazzist, Lars Danielsson, lvira Nikolaisen and Epic Trio. By then, Mathias Eick had collaborated with Chick Corea, Pat Metheny and Norwegian singer-songwriter Thomas Dybdahl. Still Mathias Eick found time to record his third album in May 2014. Ten months later, Midwest which was inspired by a tour of the North America, and is homage to the way that people and the music move around the world. However, Mathias Eick decided to focus on the Midwest because that was the choice of destination for many who emigrated from Norway and settled in America. This struck a here with critics when Midwest was released on March the ’20th’ 2015, who hailed the album Mathias Eick’s finest hour. Midwest was a landmark album for Midwest Mathias Eick and introduced his music to a new audience. Buoyed by the success and critical response to Midwest, Mathias Eick continued to lead his five piece band that featured some of Norway ’s top musicians. They showcased their considerable skills as recording began on Mathias Eick’s fourth album Ravensburg. Mathias Eick had written eight new tracks for Ravensburg, including the title-track which is his grandmother’s small home town in southwestern German. These tracks were nonce again recorded at Rainbow Studios, in Oslo. Joining trumpeter and vocalist Mathias Eick was a rhythm section of drummer and percussionist Helge Norbakken, electric bassist Audun Erlien and pianist Andreas Ulvo. They were joined by new addition violinist Håkon Aase as recording began in June 2017. The sessions weren’t long, drawn out affairs and before long, the eight tracks on Ravensburg were recorded. When Ravensburg was recently released critics called Mathias Eick it was to widespread critical acclaim. Ravensburg which opens with the suite like Family is a carefully constructed album where Mathias Eick and his talented band create mid tempo rhythmic music like Children before the understated and fluid Friends meanders dreamily along. In doing so, it allows the listener to ruminate as the rueful rasping horns, piano and rhythm section combine and eventually reveal their secrets. Mathias Eick and pianist Andreas Ulvo then play leading roles on the beautiful wistful Parents and Girlfriend. It’s followed by the ruminative Ravensburg which completes a triumvirate of peerless tracks. This would be the perfect way to close the album, if Mathias Eick hadn’t composed and led his band on For My Grandmothers, which is very personal homage to someone who has influenced him. For the followup to Midwest, Mathias Eick returns to Ravensburg, the town in southwestern Germany, which was the home to his grandmother, Mathias Eick uses the eight cinematic tracks to point pictures of a time and place. To do this, he combines occasional elements of Americana with avant-garde, jazz and Nordic Wave The result is a powerful and truth memorable album . Mathias Eick e creates beautiful, haunting, atmospheric and sometimes ethereal sounding tracks on Ravensburg. 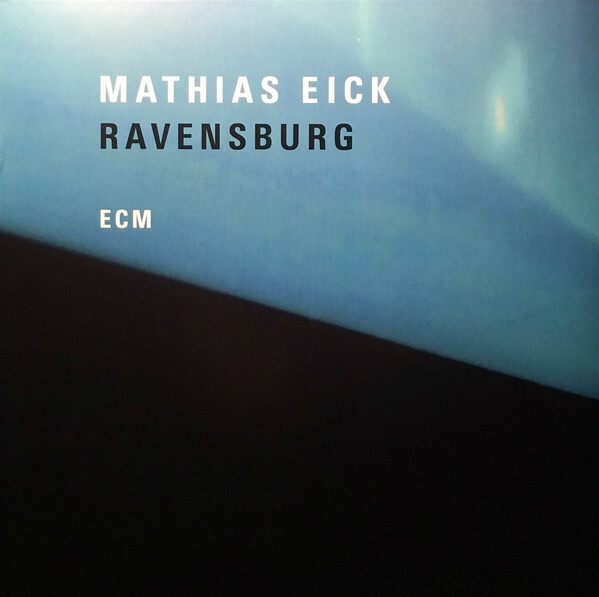 Other tines, the music on Ravensburg is breathy, elegiac, poignant, ruminative and wistful as Mathias Eick reaches new heights on what is a career-defining fourth album. ← BURNIER AND CARTIER-BURNIER AND CARTIER.